Feast of the 7 Fishes? Headed out from PC around 6:30 in the GB with fishin buddies Ron and Greg. West wall was supposed to be around the 80 line. Headed east to just past 79-56 and put out the spread. Found substantial weed patches right away, water temp around 77. Spotted multiple schoolies hanging under and near by the weed patches. 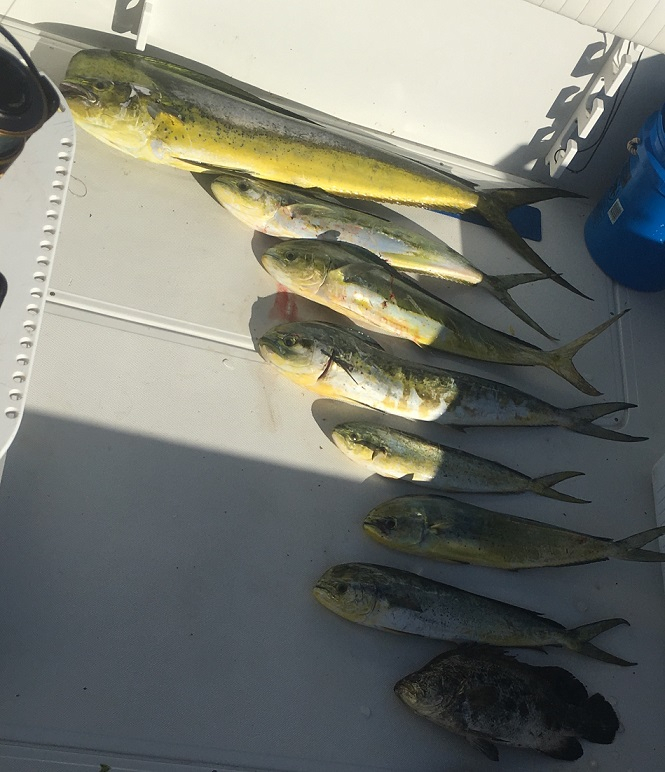 Pulled in several on cut bait along with a couple of triple tails. 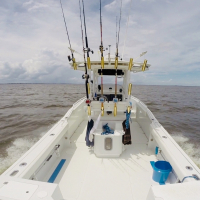 When that action cooled off we trolled along the edge of the weed and boated a few more. Stayed pretty much right along the 110 fathom curve while we work the weed patch as it drifted North in the Gulf Stream. 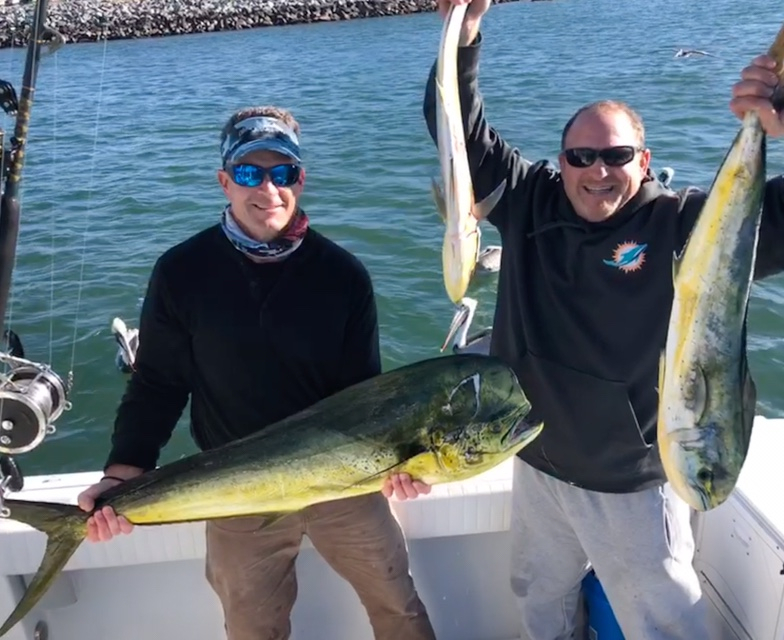 All told, 7 Mahi in the box, including one very respectable bull. 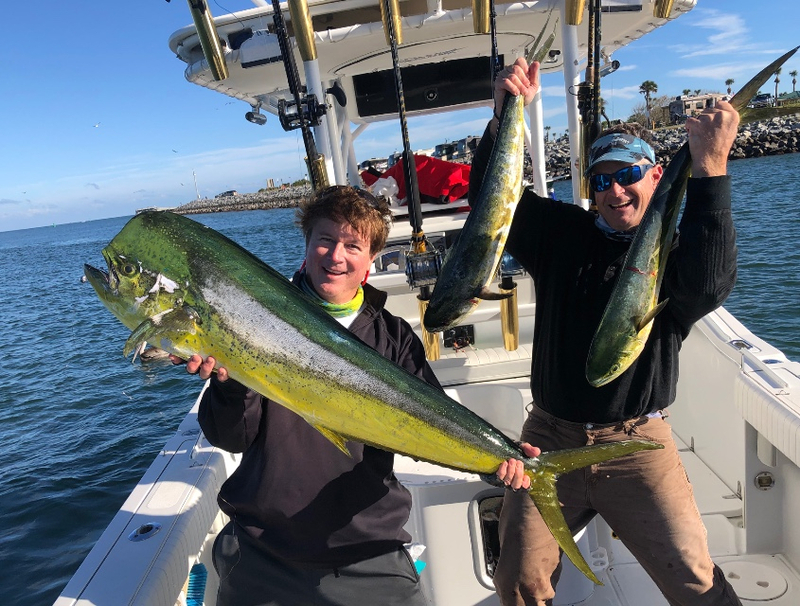 Outstanding day on the water with good friends! That bull sure makes the others look small. Good job nevertheless.